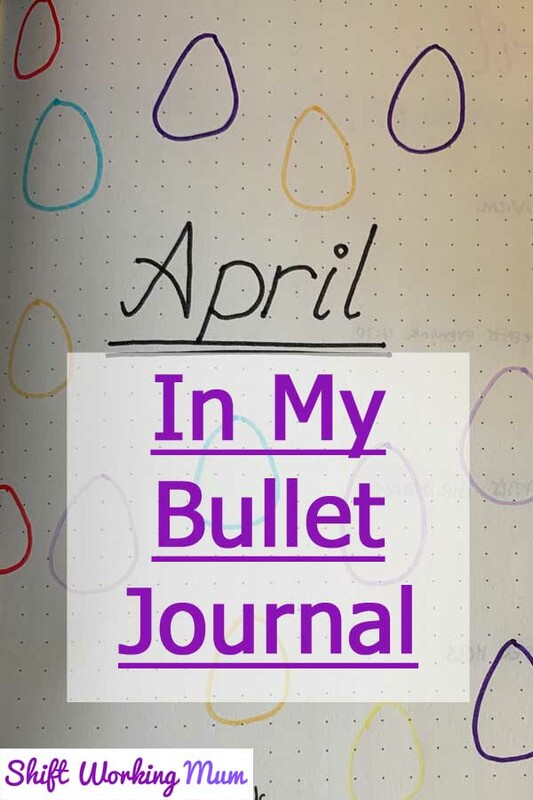 Here is my Bullet Journal setup for April 2019. 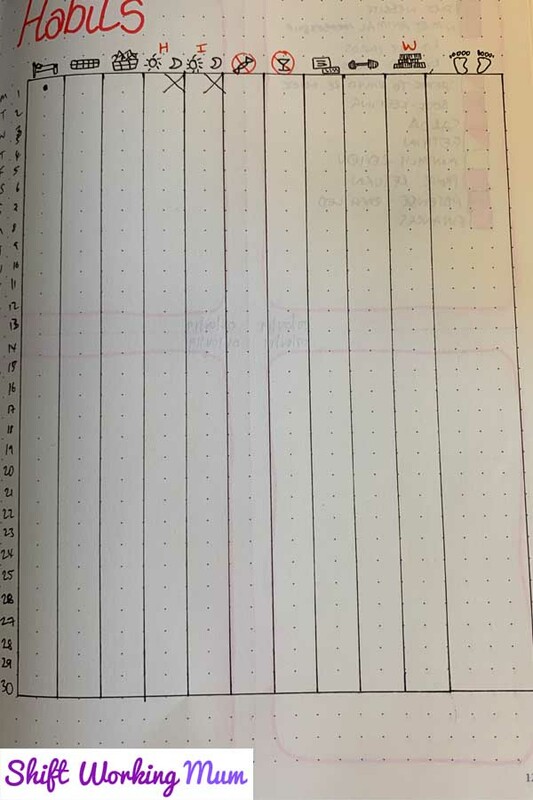 I am still using the Leuchtturm 1917 I started in October 2018. 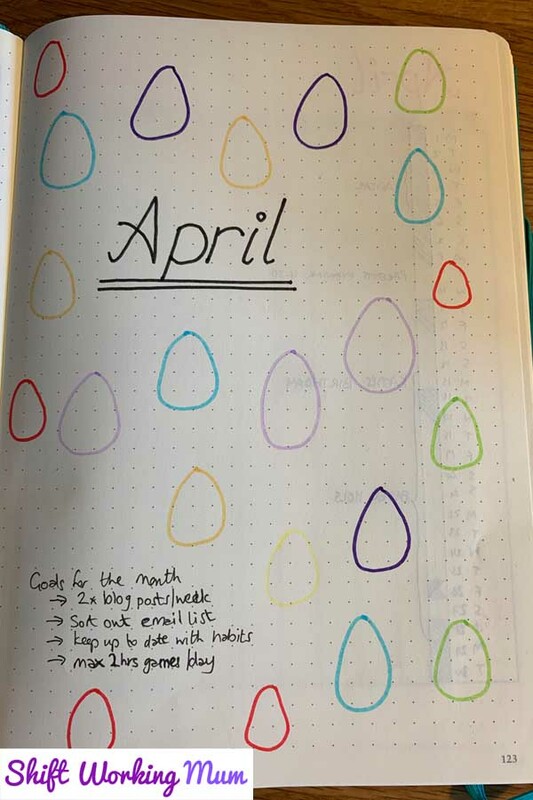 I have written April in large lettering at the top centre of the page and then drawn lots of eggs around the page using a Tombow brush pen. at the bottom I have included my goals for the month. I have found that I spend more time at the computer playing games than doing actual work. I am hoping to rectify this. I have also decided it is about time I sorted out my subscription list on this website. Continued with my usual monthly page. Easter holidays from school this month. 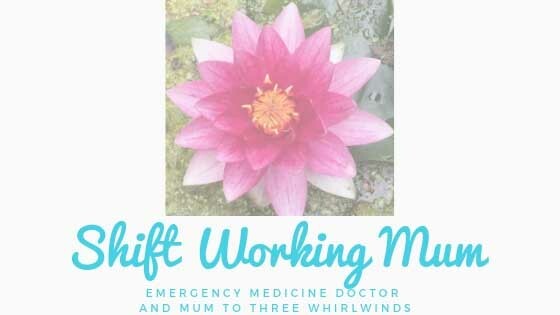 I find that having a page including all of the events for the month means I can keep an overview and stay organised. No appointments as yet this month but I do have my sister-in-laws birthday. We also have Sprout’s very first parents evening, I think he is doing OK though, so nothing to worry about. 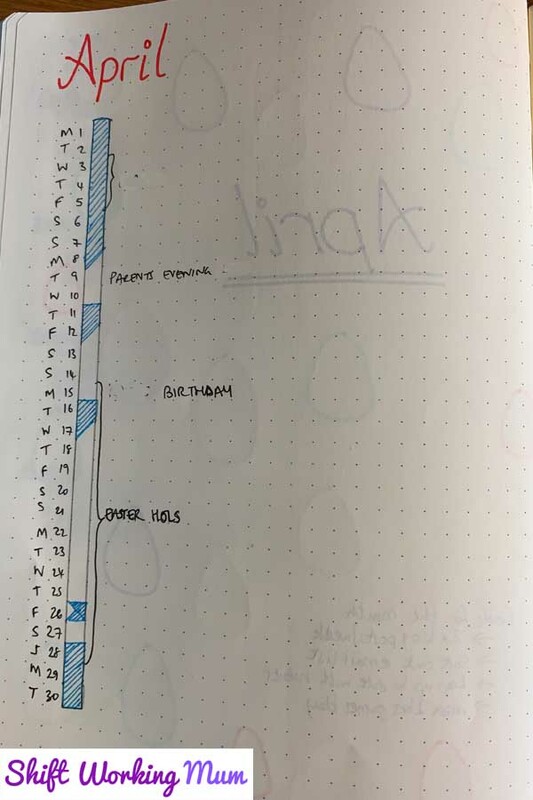 This months habit tracker has little graphics for each habit. I got this idea from someone on Pinterest. 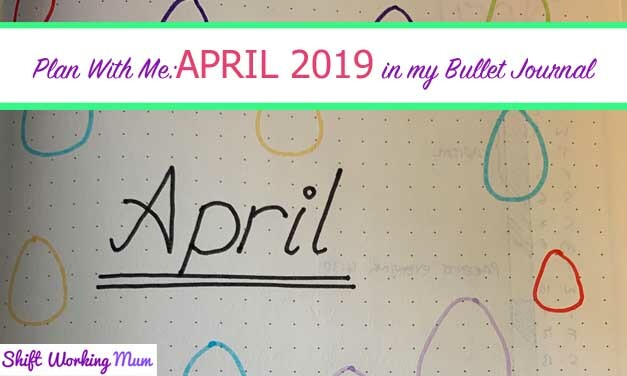 I will also be recording my daily steps on this tracker this month. 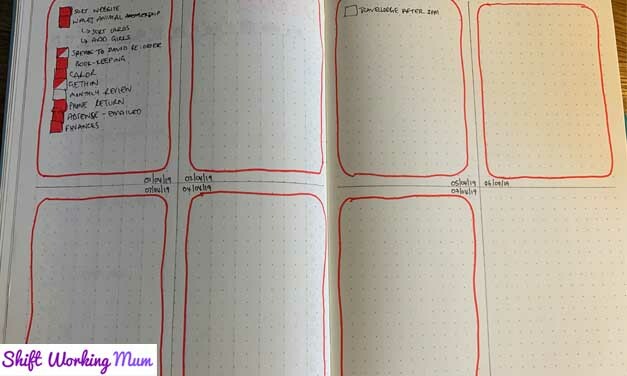 Following on with the same theme for my weekly pages as earlier months this year. I have gone for red highlighting around the days this month. I have not filled in the Blog Stats section of the weekly page yet. It fits in the bottom right corner. As you can see I have accomplished quite a lot this morning before writing this post.